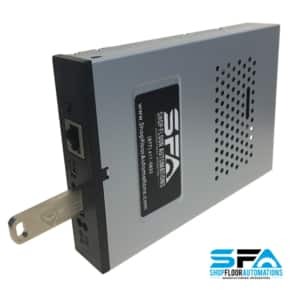 Our Floppy Drive Emulator, available in three models, is easy to install, requires no configuration, debugging, & accomplishes the goal to replace floppy disks on the shop floor, which are very difficult to obtain and unreliable. 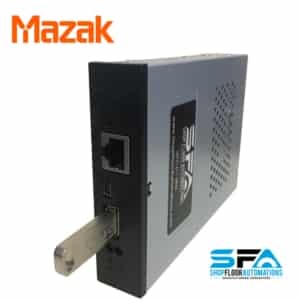 Works with any brand USB stick that is a maximum of 2GB and is FAT/FAT16 formatted. The floppy disk USB adapter emulates your existing floppy drive & acts as if it were never removed. Works with almost any existing 720k/1.44MB capacity DOS format floppy drive. 28 or 32 pin ribbon cables systems are supported & will connect to your existing power cable. Accomplish USB to Floppy functions with this hardware. If you’re tired of the floppy disk nightmare & looking to add Floppy USB Emulators to your equipment, we have the proven solution. 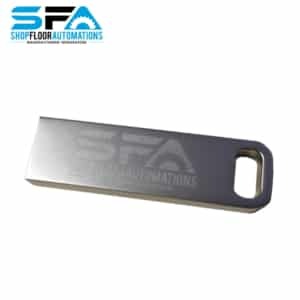 We recommend the Portable USB or Pendant USB for file size concerns. New models are added to our compatibility list monthly! 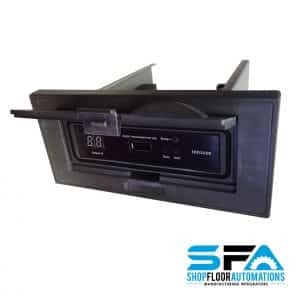 Call (877) 611-5825 to talk one of our Engineers so we are sure this device will work with your manufacturing equipment. Works in computers and CNC machinery such as Haas, Okuma, Anilam, Brother, Bridgeport, Charmille, Citizen, Mazak, Fadal, Fanuc, G&L, Hurco, Milltronics, Mitsubishi, Omniturn, Centroid, Robots, Prototrak, Siemens, Sodick, Flame Cutters, ABB Robots, EDMs, & Greco boxes, & more. Ask about a credit for your old Floppy Drive Core!